You know that the temperature is only going to get warmer each day as you head towards the hot summer months in California. You may already be dreading the long days you have to spend in the car or the office with no air conditioning or a system that provides you with little relief, but you certainly look forward to getting home and enjoying your own AC each night. The cool comfort it provides for you brings a smile to your face just thinking about it. But what would happen if you came home one day and the air was stale and the AC did not turn on? The panic and anxiety it might cause can be too much to bear. That is why you need to get smart and look for a professional service that works on air condition in Burbank. The best move you can make, even if your system seems to be running well, is to get your AC system checked and maintained each year before the really warm weather kicks in. Getting proper service for air condition in Burbank can help to detect any potential problem areas with your system so they can be addressed right away. Very often just getting hoses, gaskets and filters replaced will help to keep things running at their maximum efficiency throughout the year. 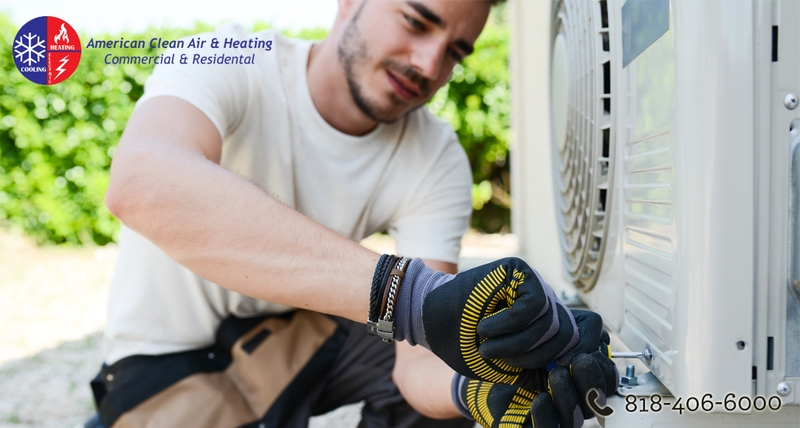 When you have central air conditioning, it only makes sense to know the name of a local service you can use each year to help you maintain your AC and perform any repairs you may need. Having the name of a company you can trust will help you out not only with regular maintenance to keep your system running, but you will be able to avoid looking around in a panic for someone trustworthy and affordable for you to call when your system has a problem. If you want to stay cool through the really hot weather to come then you need to plan ahead and stay ahead of any potential problems. Make getting service for your air condition in Burbank a priority and hire a company to do the job right for you. The business for you to turn to is American Clean Air and Heating and you can reach them at 818-406-6000 or at www.americancoolandheat.com. Make an appointment today so you can be sure your AC is working its best this year and every year.